First of all, we want to thank Aaron Haaland for inviting us to host events at The Geek Easy over two years ago. It's been a wild ride and it gave us a chance to flourish as a public anime club that is now the best in Florida, hands down. We will always be grateful for that opportunity. Thanks go to Aaron, as well as Oral and Eric for staying up late with us each month. The Geek Easy is now an official business and not just hangout space in the back of A Comic Shop. Part of their plan is that they will be renting their space to outside groups that want to hold events there. Anime Nite Orlando is a monthly event and costs to continue at The Geek Easy would keep racking up for us. Moreover, for us to show anime in a public space legally, in addition to getting permission from distributors, we also have to keep admission to Anime Nite Orlando free. Our primary goal is to have a place in Orlando that fans can come to every month to enjoy really good animation from Japan. However, we must be economical when hosting these events. Over the past month, we discussed what we would do for the future of Anime Nite Orlando and we have chosen to move our event to Bikkuri Lounge, which will accommodate anime fans very well. We're sorry if this change inconveniences anyone who has supported our events over the past couple years, but this is a change that must occur for Anime Nite Orlando to continue. 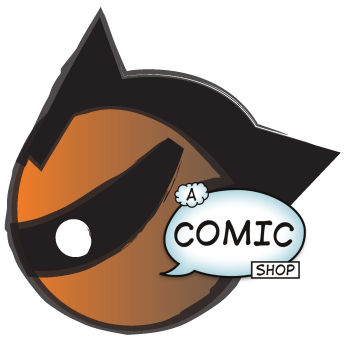 Propeller Anime still has a positive relationship with A Comic Shop and The Geek Easy. Earlier today, Aaron himself confirmed that we are always welcome to do events at The Geek Easy. The terms will be different and that would be something we would consider for special events and parties instead of monthly showings. We hope this post cleared up any misconceptions, but if you have any questions, feel free to e-mail us at propelleranimegmail.com. Thank you and see you on March 21st!